Do it as he does. I do have some work, but she doesn’t have any. The first example is an imperative sentence, so it starts with ‘do’, secondly does is used with the third person. In the next example we have used ‘do’ with the first person, to put the emphasis, while in the second part of the sentence, does is again used with the third person to put the emphasis. 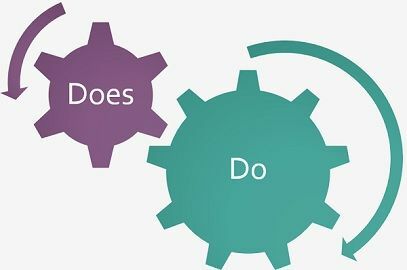 There are only a few differences between do and does, which we are going to discuss in this article. Let’s have a look. Meaning Do is an action verb, commonly used to form negative and interrogative sentences. Does is the third person singular present of the verb 'do'. Usage with pronouns I, we, you, they, these, those, etc. He, she, it, this, that, etc. Imperative sentences Used to form imperative sentences. It is not used to form imperative sentences. Example Do you go to school daily? Does she like me? Don't you have manners? It doesn't matter me much. I do have a problem with you. Riya does homework daily. Do you get the mail? I don’t think she is going to come for the party. They don’t have any right to call the meeting. You do look sad today. They do want to start their own business. I met Shahrukh Khan at the concert, don’t you? Suzzane likes apples, and so do you. Does she go out for a walk? Riya doesn’t want to go Sydney on her vacations. He doesn’t care much about what people think. Akash does go to coaching every day. She writes well, doesn’t she? Do is a transitive verb, which has a subject and object. It is an action verb which means to perform, act or carry out any task or activity. On the other hand, does is just a conjugation of the verb ‘do’ which is used with a third person singular present. While we use ‘do’ with plural nouns such as teachers, parents, children, judges, dogs, cats etc. but we use does with singular nouns such as my teacher, my mom, the child, the judge, the dog, the cat, etc. It is used with personal pronouns, first-person singular ‘I’, plural ‘we’, the second person ‘you’ and third person plural ‘they’. As against, does is also used with a third person singular he/she/it. Moreover, do is also used with demonstrative pronoun these and those whereas does is used with this and that. We use ‘do’, to form imperative sentences, i.e. positive or negative commands, but we never use does to create imperative sentences. They do not look great together. I do like Virat Kohli. Marina does her exercises early in the morning. Harish does not like any kind of interference in his work. She does the painting with watercolours. We use ‘do’ and ‘does’ in our sentences when we refer to our hobbies, likes, dislikes, daily routine, habits, and so forth. Do is mainly used in the sentences, when we talk about more than one person, or about ourselves or thing in the second person, but we use does to refer a single person or indicating a third person.